Next to Ponggol Nasi Lemak there is a Fish and Chips store. So I decided to try it one night when Lena was away on a business trip. I ordered the Cod and Chips. The queue was pretty long, but it wasn’t that bad. 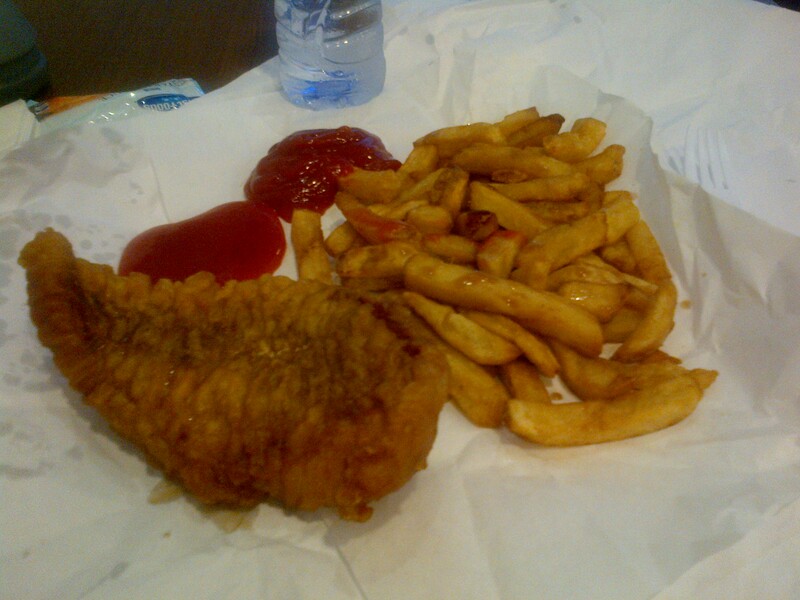 Fresh fish, nice chips. You can’t really complain. The price a little steep though, about $18 for it. Posted in Fish and ChipsTagged Fish and ChipsBookmark the permalink.